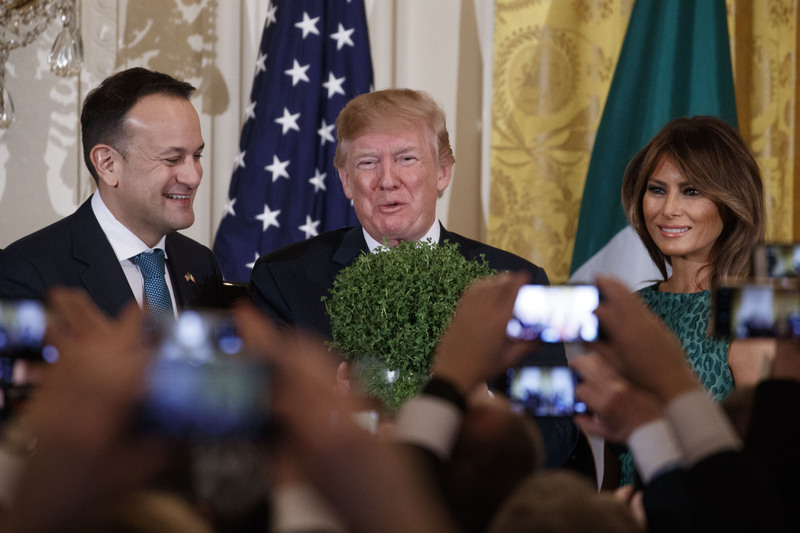 Even as it responds daily to the manifold challenges Brexit poses, the Irish government has also been seeking fresh opportunities and building alliances both in the EU and the US. For nearly half a century, Ireland has had to carefully manage its relationships with the UK, the EU and the US. Brexit has raised the stakes in this complex diplomatic and economic positioning. It is a challenging scenario for a small state, as these more powerful entities are also in the midst of reconfiguring their relations with each other. Ireland and the UK joined the European Economic Community (ECC) at the same time, in January 1973, but their relations with what would come to be the EU have significantly differed. The UK entered truculently and remained sceptical and begrudging of membership, generally resistant to further integration of the union. While the Leave vote in 2016 was a shock to many, the British distaste for Europe was a deep and abiding undercurrent. Ireland entered more gratefully, in sore need of the economic benefits membership would bring. It has not always been a smooth relationship but it has brought wealth and trade. Paradoxically, it also helped to naturalise relations with the UK and to set it on a trajectory away from dependency on the former colonial masters. In many ways, joining the EU was a moment of “psychological liberation” for the young state. That booming economy led to fresh considerations about EU and US influences on Ireland. In 2000, the then Tánaiste Mary Harney remarked on Ireland’s position between Europe, representing social inclusion and government regulation, and the US, which promoted the free market and minimal government involvement. She concluded that “spiritually we are probably a lot closer to Boston than Berlin”. It was a conclusion that reflected the optimism of the time. Ireland was the new poster child of globalisation. Ireland entered the EEC as an agrarian backwater in need of aid – it now more confidently maintains EU membership as a modern hi-tech, open economy. In 2014, it went from being a net beneficiary to a net contributor to the EU budget. With such growth comes responsibilities and, with the EU demonstrating strong support for Ireland during Brexit, there may have to be payback – or at least some tough decisions to be made regarding such issues as corporate taxation and contributions to European defence. We see ourselves as a global country, not so much an island behind an island at the edge of a continent, but rather an island at the centre of the world. This shifting of the axis of Ireland’s economic and political worldview is ambitious and yet requires careful diplomatic engagement and leverage to secure the vision.